Have you ever sat in your driveway and looked at two cars and thought...what would it look like if I combined these two? Yeah, me too. And probably the designer of this next car..who clearly was inspired to combine the front end of a Triumph TR7 with rear end of an AMC Gremlin...which really isn't as bad as it sounds once you get the throw-up taste out of your mouth properly prepared...I suggest bourbon. 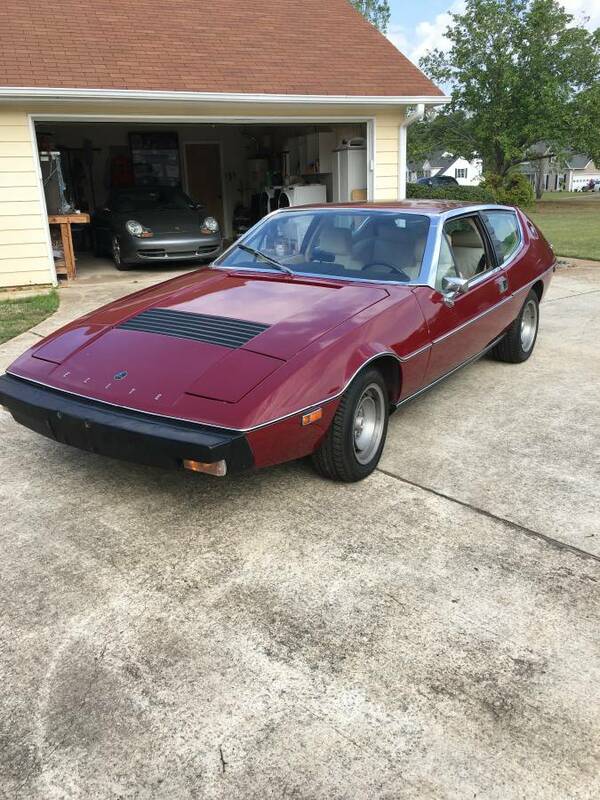 Find this 1976 Lotus Elite offered for $5000 somewhere near Atlanta, GA via craigslist. Tip from Hugh. This is a nice example of a rare car. 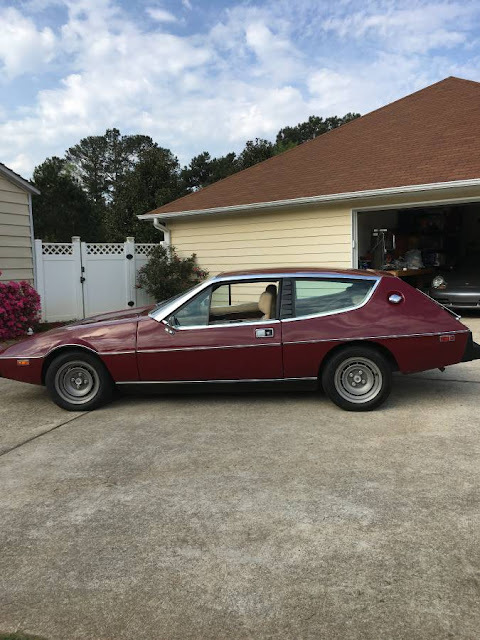 You won't find a shooting brake this original, this rare and at this price point again! This is the perfect car to bring to the next level. The Elite was Lotuses attempt at making a Luxury car. I had it shipped from Vancouver BC . It was owned by a member of The Lotus Club of Canada. Mechanically sound, interior is all original, original wheels. I removed, cleaned and painted the gas tank, replaced the fuel pump. Runs and drives as it should. If not sold by August 1st , it will be listed on BAT. I Don't need help selling my car. Did I say Cash only? You know, the Aztek somehow made the mental transition from (barf) to ugly enough to be cool for me. These... still have a ways to go. This one is a pretty nice example, Most Lotus Elites are pretty ratty especially the interiors. “Mechanically sound”... oh, goodness. If only that could do it for me. These have a following and someone with that affliction will surely appreciate this example for sure. If it makes it to BaT, I guess we will know the reserve.